Breeders’ Cup Classic 2014 Top 3 Picks; Team Lady and The Track Take Their Best Shots: The 2014 Breeders’ Cup Classic takes place Saturday, November 1, 2014 and is the 12th race of the day with dynamic horses set to strut their stuff running 1 ¼ miles on the dirt for a whopping $5,000,000. Post time for the 2014 Breeders’ Cup Classic is 5:35 PM PT and can be viewed via live stream at breederscup.com. 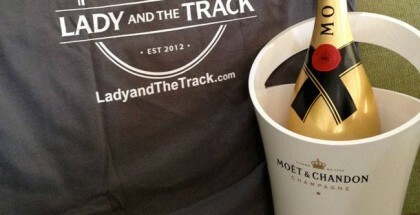 Members of Team Lady and The Track listed their top three picks and plays for the 2014 Breeders’ Cup Classic. Who’s plays are you more likely to bet on? I’m going to side one of the older guys I’ve been waiting to break out for a while since switching to the Dale Roman’s Barn with Prayer For Relief. From what I’ve seen and read, he looks fantastic and has been working smashing over the track. He needs to step it up here but I think he can at least hit the board at a huge price. I’ll go craycray here and pick him as my top pick to win. We can all use a little Prayer right? Bayern I’ve been on since his smashing run in the Woody Stephens on Belmont day. Can he get the distance? I hope so, last time at this length he finished 10th. However, I never leave out the speed and he can also stalk, so game on Bayern. 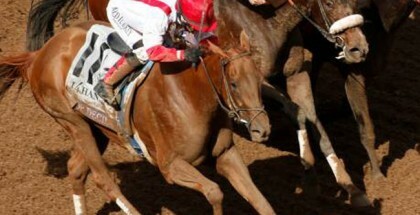 Candy Boy I have to give one more bit shot to as he was my top pick in the Kentucky Derby where he had a horrible trip. He loves this track and he can come from behind like no tomorrow. I’ll take a hunk of this sleeper for the Classic. Lastly, California Chrome I think is going to surprise a lot of doubters. He’s looking fantastic over the track and needed that last race to get some dirt under him hoofs and bust a lung. Go Chrome! 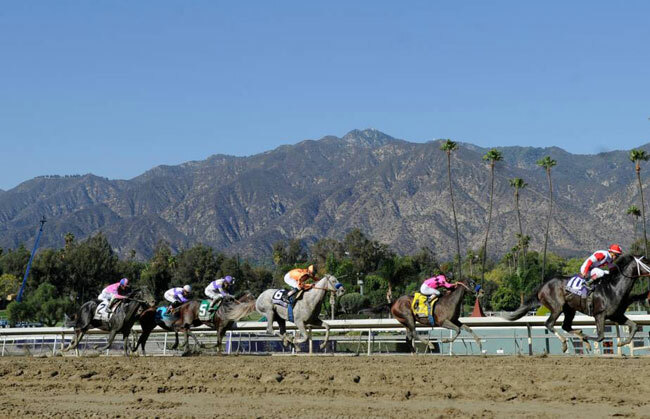 I’ll be playing a ladder, win/place/show on #1 Prayer For Relief and a $1 exacta box with #1,7,12,13; Prayer For Relief, Bayern, Candy Boy and California Chrome. Good luck everyone! Candy Boy’s last race was better than the paper said because he ran in a track that favored the speedy horses and he was able to finish third coming from the clouds. He likes the Santa Anita track and also likes the distance. If the pace turns pretty fast he can win this race at huge odds. California Chrome was 6th in his prep race, the Pennsylvania Derby. Since that effort he’s improving day by day and looks ready to show his best in the Classic. Footbridge will run very well, he will appreciate the fast pace. He’s ready to run the best race of his career. In the Classic a good play would be Candy Boy for win/place/show and also and exacta box with Candy Boy, California Chrome & Footbridge. I have yet to give up on my boy California Chrome. I am tossing his last race, on accounts of his being boxed and never getting to run. This race, the target won’t necessarily be on his back, but on Shared Belief’s. Chrome has drawn the outside, which is perfect, because Shared Belief is stuck in the middle with Bayern and Moreno on both sides of him. Only thing that would make it better would be Big Cazanova draws in and the speed duel intensifies, giving Chrome and my closers an even bigger shot! I am on the Cigar Street bandwagon this year. I believe he has the exact kind of running style he needs to excel with the speed that is in the Classic. He is going to sit off the leaders and pounce as Moreno and Bayern weaken. If Cigar Street can handle the fast surface of Santa Anita and harness a good trip, I see him getting a piece of the pie at a good price. 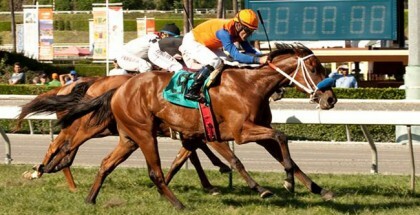 Candy Boy is not the greatest horse in the field by any means, but he is very consistent. He always shows up and always gives his all in his races. He also hasn’t faced horses such as Tonalist, Bayern, and the rising V.E. Day. Candy Boy has, however, shown he likes the Santa Anita track, winning or hitting the board in all of his starts over the track. Playing Shared Belief is almost a give me. He is the favorite for this race and has yet to be beaten. One question, whom has he been beating? Fed Biz? Candy Boy, consistently hitting the board, but not a high caliber horse. Toast of New York isn’t the caliber horse he has shown overseas. The three-year-old soundly beat Imperative and Majestic Harbor, after winning their challenge races. I am likely to play an exacta box made up of Shared Belief, Cigar Street, Candy Boy, California Chrome, and Zivo. I am also going to do a single on Shared Belief, as I cannot argue with perfect. I like my horses with a little drama. There is nothing I’d like to see more than an East Coast -vs- West Coast duel between California Chrome and Tonalist. This entire year my heart has been with Tonalist and Christophe Clement but I don’t know how the Belmont Stakes winner will handle anything out of New York. I’ve never been on the Bayern bandwagon until now. Penelope Miller over at America’s Best Racing blogged a photo of Bayern this week that spoke to me. Bayern looks solid. I like to play win bets. My brain is with Bayern and my heart is with Tonalist. To satisfy my “Bayern brain” I’ll put $100 down on him to win. I’ll play Tonalist and California Chrome to show. 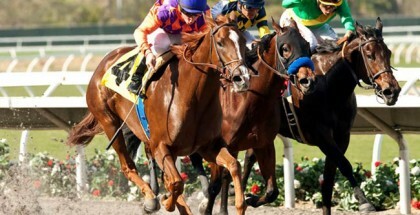 The Breeders’ Cup Classic takes place at Santa Anita Park on Saturday, November 1, 2014. Who’s your pick?